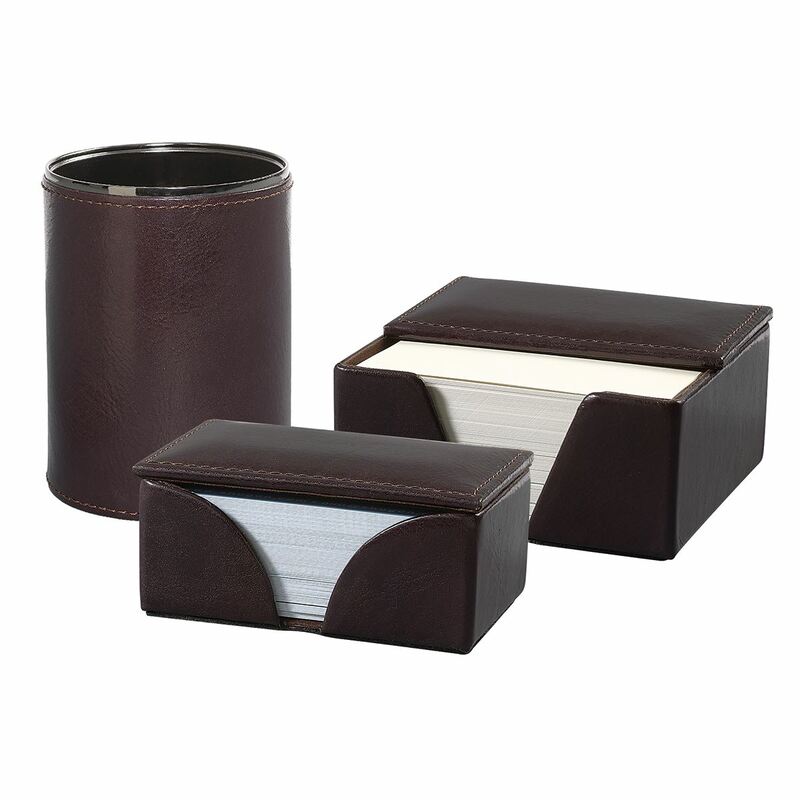 Contains: pen holder, memo block holder (complete with an extra paper block) & business card holder. Pen holder dimensions: 7.5 cm Ø diameter x 10.5 cm height • Weight: 150 gm • Colours: Dark Brown. Business card holder’s dimensions: 4.5 x 10 x 6 cm • Weight: 70 gm • Colours: Dark Brown. Memo block holder dimensions: 4.5 x 10 x 10 cm • Weight inc. paper: 370 gm • Colours: Dark Brown.